Powerage records was launched by the publishers of Classic Rock magazine as a means of promoting upcoming bands. We definitely need more labels like that. 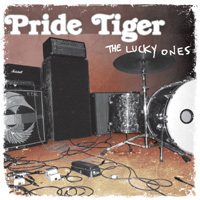 Still, it might have been a bit too late for PRIDE TIGER, whose debut album was re-released by the label late last year, since just this June, the band announced that they called it quits. What a pity.